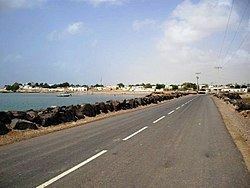 Obock (also Obok, Ubuk, Arabic: أوبوك‎‎) is a small port town in Djibouti. It is located on the northern shore of the Gulf of Tadjoura, where it opens out into the Gulf of Aden. 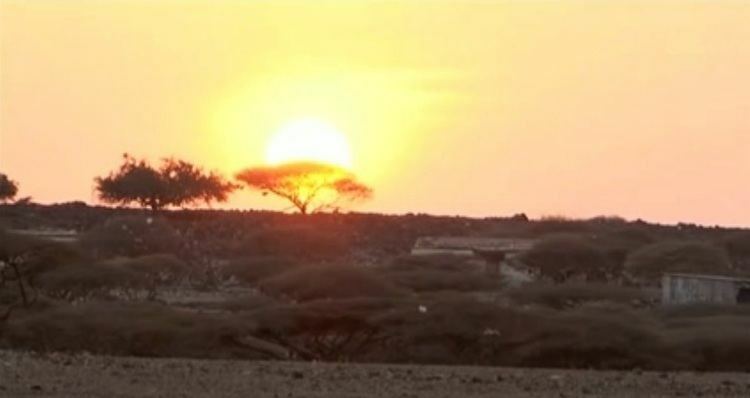 The town is home to an airstrip and has ferries to Djibouti City, while mangroves lie nearby. The French form Obock derives from Arabic "Oboh", deformation of Oboki, a name given to the Wadi Dar'i in its middle part, upstream of its coastal delta. Obock is located in east of the northern coast of the Gulf of Tadjoura, the door of the Bab el Mandeb Strait and in the north-east of the Republic of Djibouti, 235 km (by road) of Djibouti City. The site was not the subject of any occupation, just visited by the ships of the naval divisions assigned to the Indian Ocean, until the installation of trader Pierre Arnoux in 1881, followed by Paul Soleillet. Obock became a true colony in 1884 with the arrival in August of Léonce Lagarde, who established an administration and extended French possession in the Gulf of Tadjoura, forming the Territory of Obock and outbuildings, with Obock as its capital. By 1885, Obock had 800 inhabitants and a school. However, the anchorage was more exposed than the site of Djibouti on the south side of the Gulf of Tadjoura, and the colonial administration moved there in 1894. The population of Obock subsequently declined. However, until the occupation of Tadjoura in 1927, Obock remained the only place on the northern coast of the Gulf of Tadjoura with a colonial administration. It became the capital of the "District Dankali" in 1914, then an administrative position from 1927 which was subsumed into the "Circle of Adaels" in 1929. In 1931 Obock became the capital of a circle responsible for resupplying the colony during the Allied blockade from 1941 to 1943, then again a simple administrative position, and then became a capital of the circle from 1963 to Djiboutian independence in 1977. Obock is expected to be the site of the Chinese naval base in Djibouti. During its time as a French colony, Obock issued its own postage stamps; for more detail see Postage stamps and postal history of Obock. Obock has a dry climate. It is classified as hot and semi-arid (Köppen climate classification BSh). Obock is 13 m above sea level on the plateau of Gazelles ("Dala-h Húgub in Afar") in desert terrain. The sky is always clear and bright throughout the year.